Directions: RT 121N Â­ Right onto Tenney Farm Road, Left on Kenneth Road. Location, location, location! 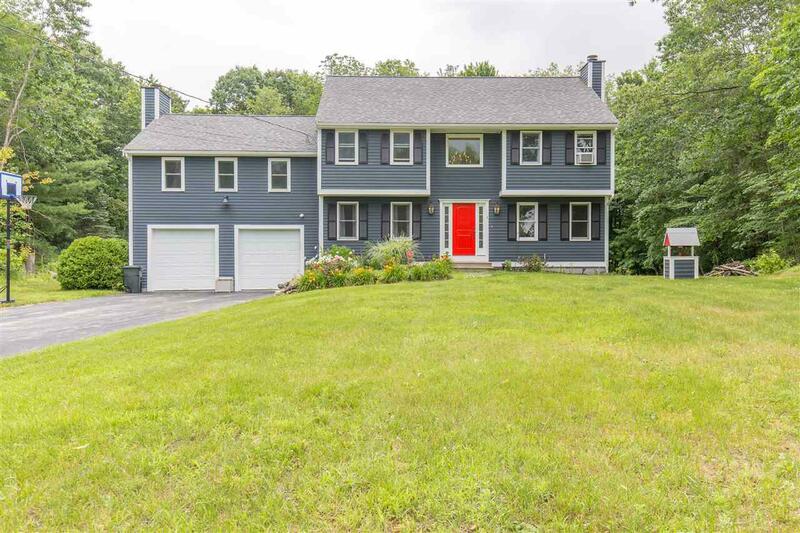 4 Bed 2.5 bath 2 car garage home in a beautiful country neighborhood setting so close to rte 121Â onÂ Hampstead/Sandown line. Perfect for entertaining! Open conceptÂ tiled floor kitchen w/ stainlessÂ appliances opens to large exterior deck, sittingÂ areaÂ w/Â wood stove,Â diningÂ roomÂ w/Â hardwood. Soaring cathedralÂ ceiling 23Â xÂ 23Â family with floorÂ toÂ ceilingÂ fireplace flankedÂ by customÂ built inÂ shelving. FormalÂ livingÂ roomÂ w/Â 2ndÂ woodÂ fireplace. 2 Story openÂ foyerÂ leadsÂ to front to back Master Bedroom Suite, walkÂ inÂ closet & private 3/4 bath, updatedÂ mainÂ full bath and 2 bedrooms. Finished 3rd floorÂ walkÂ up largeÂ 4thÂ bedroom,Â officeÂ orÂ recreation room. OversizedÂ deckÂ overlooks privateÂ levelÂ backyard nestled in the trees on a 1.19acre lot.Â NewerÂ roof,Â heating system, exteriorÂ paint,Â updatedÂ electrical, generator hookup, brand new furnace, some new windows, newer appliances, newer water softener, radon in water system, newer deck newer garage doors, exterior doors and lights. 1st floor laundry in half bath. Shed & electric dog fence.